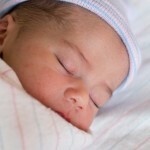 Please join us in welcoming Andrew Thomas Squires, born March 17, 2009. 7 pounds, 8 ounces. Mother and baby are doing great!